This session will cover; Procedural and Conceptual Variation, Examples and Non - examples and Standard and Non-standard examples. It will also cover how we can identify and plan for misconceptions, and how teachers can address these by taking children's learning (and thinking) much deeper. Reasoning and problem solving is high on the agenda in many Secondary schools, however in the last two years there has been a dip in the performance of students on AO2 questions. 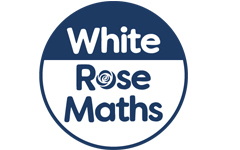 This session is designed to address the needs of the new GCSE giving teachers practical techniques to develop reasoning and problem solving in the KS3 and KS4 classroom. You will leave the session with ideas and strategies to implement the next day.